If you have never had a day as a parent when you are at your wit’s end and don’t know how to deal with your children, then you have never felt a sort of tired desperation when you succumb to parenting tactics that you later regret. That’s not really the type of desperation I’m talking about, because, quite honestly, we ALL have days of quiet or not-so-quiet parental desperation. It just comes with the parenting territory. No, the type of desperation I’m talking about is the type that permeates all of your parenting behaviors and shows itself very distinctly when your child plays sports or struggles in school or doesn’t live up to what you had hoped or expected. Reckless or dangerous because of despair, hopelessness, or urgency. Leaving little hope; extremely bad. Unfortunately, most parents don’t recognize their own desperation. They think they are simply coping as best as they can to make it through each day, each tough decision. But desperate parents are those who’ve given up on what they know deep down is the right way to do things; they’ve instead caved to the tyranny of the urgent and the immediate, looking for quick satisfaction. You stop yourself from always fixing your kids. Helplessness is perhaps one of the worst things that a parent feels. No mom or dad likes to just watch their children suffer or struggle. The urge to jump in and fix it, to make things all better for them is a parental instinct. When children are little, they require a lot of fixing. We feed them when they are hungry; change their diapers when they make a mess. We put bandages on their scrapes and kiss away their boo-boos. But as they grow, the fixes get harder and harder. 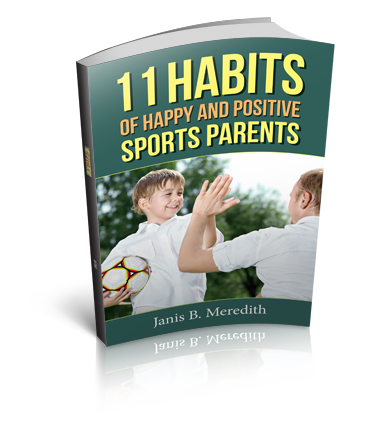 Problems with friends, struggles in school, and frustrations in youth sports begin to emerge and the fix-it urge takes over for many parents. Desperate parents give in to the urge because they think it’s the only answer. Parents who do not practice desperate parenting know that “fixing” their child’s problem is giving in to the tyranny of the immediate and will, in the long term, NOT be good for their child. 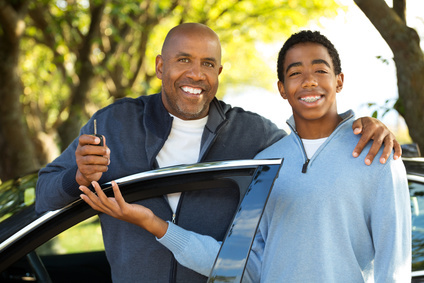 Non-desperate parents work with their child to find a resolution, or better yet, allow their child to solve the problem on their own. You’ve learned to slow down from jumping to conclusions. Unfortunately, jumping to conclusions is sometimes the only exercise that parents get. The inclination to assume something is true before all the facts are in is a sure sign of desperate parenting. Desperate parents want a quick explanation and do not take the time to hear the whole story from their kids. They don’t have time to take the time to really listen and seek to understand. The news you receive is often not nearly as bad as you’d assumed at first, and if it is, then it’s even more important for parents to get the full story so they know best how to help their child through the situation. Sometimes, though, it’s just easier, to reach a conclusion, decide on a quick “resolution,” and move on. Desperate parents are desperate for time and are often too busy to slow down and investigate a bit. Desperate parents talk a lot. They lecture and nag. They don’t listen much because true active listening takes time and effort. Desperate parents don’t have the time or the patience for that. So they resort to something that comes easily to them—talking and talking and talking. But this is not healthy communication. It is desperation. Healthy communication is a two-way street and should always start with listening first. Ask open-ended questions, listen, ask some more, listen, listen some more, rephrase and repeat what was said so that your child knows you are listening, and then listen some more. Once your child knows that they have been clearly heard, then you most likely will have an opportunity to share your perspective and you will be heard. From 31 years of parental experience, I’ve learned that nagging and lecturing are wasted words. You are learning to let go of controlling your kids. I see a lot of parents of millennials who are still trying to control their children’s behaviors and choices. I understand this type of desperation because I have millennials and God knows how hard it is to let go, letting them make their own choices and mistakes without a word of rebuke from me. I started practicing the art of letting go when the kids were younger, and it’s a good thing I did because, even though it has gotten easier over the years, it’s start hard. Desperate parents feel the need to control for a variety of reasons. Maybe the thought of not being “needed” scares them, or perhaps they are frustrated when high expectations are not met. On one hand, it’s natural that we want to feel some kind of control. After all, we have a lot invested in our kids, emotionally, physically, and financially. But the honest truth is that learning to let go is one of the best ways you can love your kids. As the old saying goes: If you love something, let it go. If it comes back to you, its yours forever. Do you feel that you’ve slipped into the desperate parenting mode? If you are seeing these four signs, then the good news is that you have not! If you are not seeing any of these healthy parenting signs, let me help you get out of desperation prison. As a family coach, we can work together on setting you free. Schedule a free consultation here.